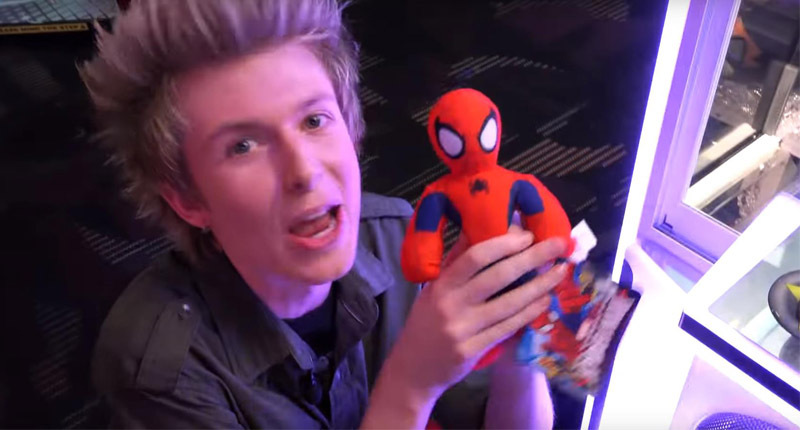 In recent years, claw crane machine is definitely a super hot! 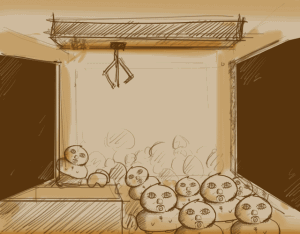 People who played claw machine all know that moment when catching dolls of pleasure, but most people realize that the despair is not caught … … before the starting you fantasy look like: take dolls or toy which you like. 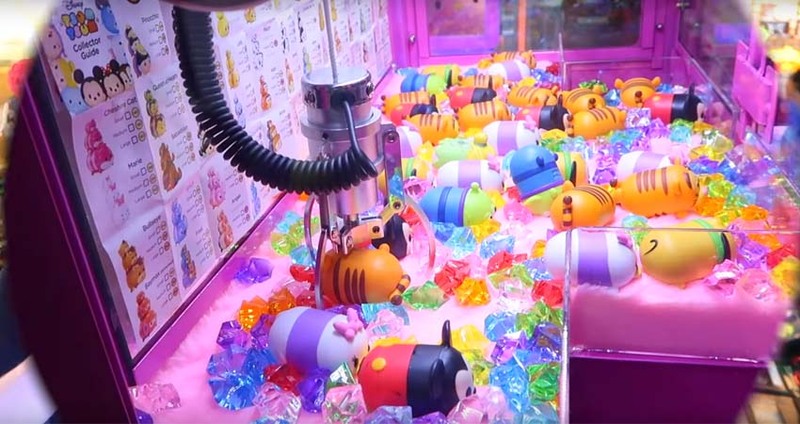 However, you usually see the claw catching toy in 5S and falling down in back.How crashing! So that ,somebody always think about this machine is something tricky.On our side, there is one boy but let the claw crane machine boss “frightened”!Because he took the 3000 all kinds of dolls from in the last 9 months. After a mistake, he began to catch the doll ! The guy named Hu Bo, he was 24 years old, home in Huangpi, now do regional manager in the optical Valley a FMCG enterprises .In January of this year, Hu Bo and friends came to the Optical Valley World City shopping, saw friends to catch the doll, he felt very fun and want to try, but did not catch up. Finally , only caught up one in other machines . Although a bit mistakenly hit, but it has aroused the his interest of catching dolls. Hu Bo found that the probability of successfully grasp the doll is too low, for example,when he cast ten times but catch a doll . He think so burn money play it that it is necessary search for ways. After he came home, began to search the Internet to send some players post, learn tutorials, learn from scratch the skills of dolls.And more to learn more practice, practice makes perfect. 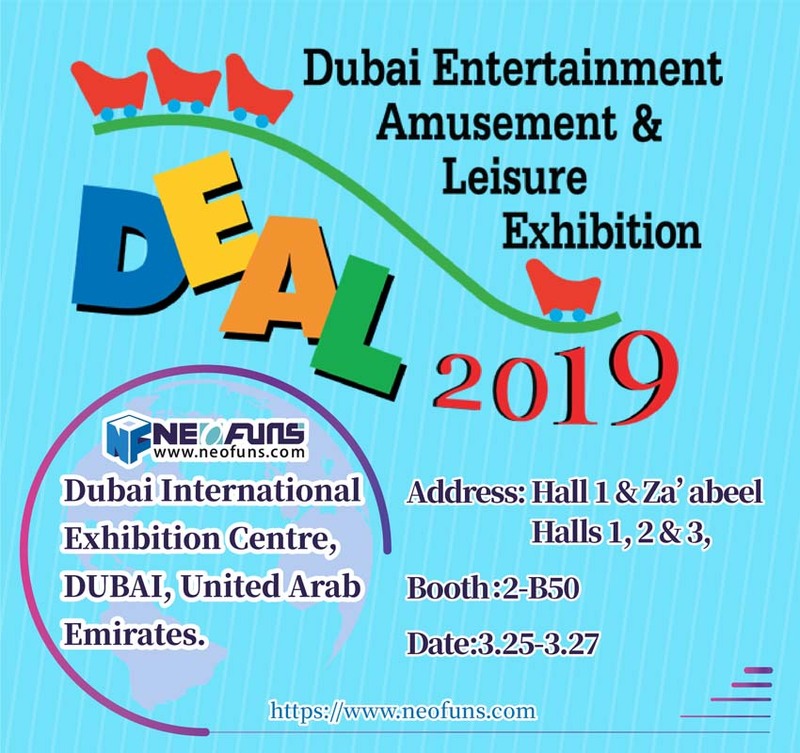 Hu Bo also pretending to the buyer in TAOBAO ask the seller about the principle and access to grasping of the claws, the location of dolls will affect the crawl, and different machine :feeding machine, technology machine. Dolls have no place to put it! A month later, he done better.Whether it is a big doll, or a small doll, and no matter what the mall of the doll machine, it is a piece of cake for Hu Bo to grab toys.And each time a catch is dozens, there are several times almost empty the machine, which causes everyone onlookers. At first, Hu Bo put them in their own and friends rented the room, the house was a total of only 70 square meters.In May this year, the toys were had to put the living room for the room can not keep them.In July, he had to find a friend to help, put the doll in a friend’s living room, but a month later, friends can not help him.So Hu Bo had to rent a van filled with a car to send them to Huangpi home for relatives and friends.But the relatives and friends can not be too much. Another way to make money! Hu Bo usually will also give the doll to a friend, but friends are sorry to take. In August this year, friends find Hu Bo to buy dolls.Sometimes, he went to a place to catch dolls, firstly taking a small video in the group where friends fancy which doll,then clip to sell. 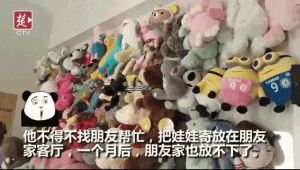 Hu Bo sold more than 700 dolls for almost earning fifteen thousand yuan, count the home of the doll at least no loss. And earn money was used to pay the monthly rent of 1,000 yuan.